Special guided tour in English language to Vatican Museums and Sistine Chapel, offered by the Pontifical Committee for Historical Sciences. Meeting point at Museum Entrance. American Religious Diplomacy from the International Religious Freedom Act. Rimettere la religione al centro: verso una «pace di religione» in Israele-Palestina? Departure by bus from Vatican City State at 09.30 o’clock. 09:00 The Lutheran Reformation: A theological or political Revolution? Du sanctuaire au pèlerinage. La relique comme objet historique. Bilan, méthode et prospective. En visitant l’Apôtre Saint-Jacques: les pèlerinages à Compostela, XVI-XIXe siècles. University of Santiago de Compostela [Spain]. La re-inventio des reliques de Saint Jacques au XIXème siècle. Spanish National Research Council (CSIC) [Spain]. The Apostolic Tomb of Santiago de Compostela: New Explorations and Epigraphic Discoveries. The mysterious relics of the twelve peers of France at Roncesvalles. Saint Jacques: les reliques en France. The holy power. The cult of St. James and the legitimacy of the Commune of Pistoia (12-13 centuries). Istituto storico italiano per il Medioevo, Rome [Italy]. St James in England: The Regional Character of a Continental Cult. University of Birmingham [United Kingdom]. Loot, Diplomacy, and the Rhetoric of Reliquaries in Medieval Europe. Columbia University, New York [United States of America]. Le vol des reliques au Moyen Âge. Intérêts, rivalités, arguments. University of Poitiers and Centre d’Etudes supérieures de Civilisation Médiévale, Poitiers [France]. The Three Magi – Places of Worship in Cologne Cathedral. Furta sacra in Southern Italy in the Middle Ages. After Iconoclasm: The Resurgence of Relics and Shrines in Counter-Reformation Europe. University of Cambridge [United Kingdom]. The life of dry bones: pilgrimage to relic shrines in Soviet Russia. The Open University [United Kingdom] and Vrije Universiteit Amsterdam [Netherlands]. Relics of the True Cross – an initial study. Thomas Higham and Georges C. Kazan. University of Oxford [United Kingdom]. St John’s relics from the monastery on Sveti Ivan island near Sozopol, Bulgaria: Archaeological and scientific research. Kazimir Popkonstantinov and Rossina Kostova. University of Veliko Tarnovo [Bulgaria]. The religious views of Judaism and Christianity always valued historicity. The theological reflection and social proposals of Christianity seek to articulate time and eternity, history and scathology, incorporating and developing notions of tradition, utopia and reform. In this sense, the return to the sources, the search for new forms of mediation in the relationship between religion and society, ethics and politics, thought and action, are constant in the history of Christianity. The centrality of the religious reforms movement in modernity shows it very clearly, thus contributing to the development of various forms of Christian confessionality. The search for links and forms of articulation between religious reform and social reformism before and after the Reformation era emerges as the central topic of this colloquium, open to communications on the various historical periods. Three lectures and three panels for papers’ presentations are programmed. The CFP this time is limited to the CIHEC Bureau members only. – Etienne Bourdon (Université de Grenoble, France) : The Religious Discourse Faced with Early Modern Geographical Discoveries: A “Disenchantment”? The conference is organised in cooperation with the The Royal Swedish Academy of Letters, History and Antiquities (http://www.vitterhetsakad.se/om), in their house on Villagatan 3 in Stockholm on June 11-12 (11-13 for the Bureau). It will start with lunch on June 11, and end in the afternoon of June 12. The Bureau meeting will end with lunch on June 13. All hotel bookings will be made by Miss Helene Carson, hcarson@vitterhetsakad.se. Miss Carson can also arrange flights. Accomodation, meals and travel costs are being paid for the speakers and accomodation and meals for the other Bureau members. The deadline for the paper proposals is 15 February, and for participants the preliminary deadline is 15 March. Paper proposals should be sent directly to Prof. Jarlert, anders.jarlert@teol.lu.se. This is a neglected topic and should bring interesting discussions to the academic table. Members are invited to submit abstracts on the main theme or any of the following sub-themes. The abstracts should be clear in terms of methodology (and the use of sources), as well as on its location within the field of Church History or Church Polity. The papers should be based on thorough research. The focus on one of the themes should be at the heart of all the papers. Abstract relevant to the theme and sub-themes must reach the secretary not later than 2 March, 2015. The contributions must be based on original work. The Society cannot guarantee that all abstracts will be accepted. Authors are encouraged to send their abstracts promptly. Please send your abstracts to the following e-mail address: olivee@unisa.ac.za for attention of the Secretary, Erna Oliver. Instituto de Estudios Gallegos “Padre Sarmiento” (CSIC, Santiago de Compostela). Spain. Walking the Camino and the Urge for the End: To Be or Not to Be… a Pilgrim? University of Amsterdam / Meertens Institute. The Netherlands. Institute of Heritage Sciences, Spanish National Research Council. Spain. Centre for Advanced Studies in Tourism, Alma Mater Studiorum – University of Bologna. Italy. The Pilgrim Paths Project – A Renewal of Ireland’s Pilgrim Past? An Chomhairle Oidhreacha, Heritage Council. Ireland. The Open University. United Kingdom. Escuela Oficial de Idiomas Jesús Maestro (Madrid) / Fundación Instituto de Japonología. Spain. The Scottish International Storytelling Festival. Scotland. Council of Europe – European Institute of Cultural Routes. Luxembourg. On Monday 30 November 1215 in the Basilica of St John Lateran, Innocent III brought the first assembly of the whole Church since the Council of Chalcedon (451) to a rousing finale by summoning all the delegates to unite in faith and by issuing Ad Liberandum, an encyclical calling for a crusade to liberate the Holy Land. This Council, fourth in the Lateran series but the twelfth ecumenical gathering of the Church in the Western tradition, included the five patriarchs or their representatives, together with more than one thousand bishops, abbots and other dignitaries, both ecclesiastical and secular. At each of the three plenary sessions held on 11, 20 and 30 November respectively, Innocent preached a set-piece sermon whilst, behind the scenes, delegates debated such major issues as who was more worthy to lead the Empire and how to contain the Albigensian heresy. The accounts of eyewitnesses reveal that Innocent’s consecration of Santa Maria in Trastevere and celebrations for the anniversary of the dedication of the Vatican Basilica served not only to emphasize the history, majesty and ritual of the Church but also offered a welcome respite from the intensive discussions in the Lateran Palace. The Fathers of the Council promulgated seventy decrees, covering topics as diverse as heresy, Jewish-Christian relations, pastoral care and Trinitarian theology as well as ecclesiastical governance. Monks and secular clergy were to be reformed, the nascent mendicant orders welcomed to the Church and diocesan bishops instructed to implement far-reaching conciliar decisions across Christendom. Le divisioni dei cattolici di fronte ai tentativi di pace. La sollecitudine di Benedetto XV verso la nazione belga. La Santa Sede, i cattolici e la guerra dal punto di vista della Francia. I cristiani britannici nella Prima guerra mondiale. I cattolici irlandesi nella Prima guerra mondiale. I Cappellani militari nell’Europa in guerra. Religiosi e religiose di fronte alla guerra: assistenza e servizio alla Patria. La Svizzera e l’opera d’assistenza. Le donne cattoliche nella Prima guerra mondiale. La Prima guerra mondiale e le sue conseguenze sulle missioni. Il Vescovo di Alba Reale, Ottokár Prohásrka, e la Grande Guerra. I polacchi e la Santa Sede prima della Prima guerra mondiale. La Santa Sede e la Serbia nella Grande Guerra. La Prima guerra mondiale vissuta dai cattolici croati. I cattolici slovacchi nella Prima guerra mondiale. I cattolici spagnoli e l’imparzialità della Santa Sede. belligeranti, a partire dai servizi di censura postale. La Chiesa ortodossa romena durante la Prima guerra mondiale. e conseguenze nell’ambito della Prima guerra mondiale. Dekan trogirske katedrale Sv. 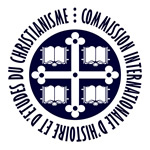 Lovre / Dean of the Trogir St Lawrence cathedral Pontificio Commitato di Scienze Storiche; Commission Internationale d’Histoire et d’Etudes du Christianisme – C.I.H.E.C. Biskupi i benediktinci, graditelji crkava 11. do 13. stoljeća u Trogiru / Bishops and Bendictine Monks, Builders of Trogir Churches from 11-13th C.
Bishops and religious communities at Pécs in the Middle Ages / Biskupi i redovničke zajednice u srednjovjekovnoj pećkoj biskupiji. 12.30-20.00 Posjet lokalitetima: tvrđavi Klis, Salona, Dioklecijanova palača (Split) / Visit to the sites in the vicinity of Trogir: Fortress of Klis, Salona, Diocletian’s palace (Split). The history of many European cities was shaped by the figure of a bishop whose ties to the city had both spiritual and more tangible secular consequences. The topography of the city, its economy, its institutions, its liturgy, its reputation as well as its citizens’ sense of civic pride could be shaped by and were dependent upon his association with the city. Bishops and lay élites could not remain passive observers in the central decades of the 11th century, during the major ecclesiastical reform that changed the regular and diocesan environments in the Latin West. Their active involvement in the religious renewal was confirmed in the first place by the flourishing of the new foundations ranging from the great urban abbeys to minor churches and hospices promoted by the pious bishops, influential intellectuals and rich merchants. During the papal legate’s visit to Dalmatia in 1062 Benedictine monk John from St Peter’s abbey in Osor was elected to succeed the deceased bishop of Trogir and to promote the reform movement. In 1064, helped by the noble citizens of Trogir, Bishop John founded the first Benedictine nunnery in Dalmatia on the site of the early medieval church of St Doimus close to the southern city gate. One of the major civic ecclesiastical institution, the still active de clausura nunnery of St Nicholas survived the extinction of two nunneries founded somewhat later, and that of the major male abbey of St John the Baptist. The aim of this conference is to gain clearer understanding of the construction, enhancement and expression of episcopal office in relation to the religious communities, the impact on religious, political and cultural practice and institutions at local level in the Mediterranean, Central, Western and Northern Europe. www.cish.org/congres/congres_2015.htm<http://www.cish.org/congres/congres_2015.htm>. The deadline for submission is 30th September. Several of the sessions have potential for accommodating papers by ecclesiastical historians, and historans of Christianity and other religions. The formal call for papers for these sessions appears below. As these sessions are organised independently of the main CISH proceedings, the deadline will not be 30 September, but 15 January 2014. From its earliest location around the Mediterranean, Christianity has spread during its two–‐ thousand–‐year history to each of the world’s continents. At some times, Christian missionaries have been assisted by political power or even direct military force and, at others the faith has been propagated by entirely peaceful means. In either case, missionaries and converts have faced the task of presenting Christianity in languages and with arguments that make sense to local people and of considering how far forms of worship and even ethical norms can be adapted to local cultures. A key question in such situations has always been the relationship of Christianity to previously dominant religious traditions, and the answers have ranged widely from the extremes of confrontation or adaptation, to the many variations in between. Some examples of such problems and solutions are well–‐known, as for instance with the Jesuits in seventeenth–‐century China or the Celtic and Roman missions to Anglo–‐Saxon England. Equally well known are the ‘independent’ churches of nineteenth–‐ and twentieth–‐century Africa and Asia which aimed to present a more authentically indigenous form of Christianity than that available in the ‘mission churches’. But even in countries with a centuries–‐long Christian history there have been attempts to construct a Christianity that would be more genuinely ‘of the people’. This was one of the objectives of the sixteenth–‐century Reformers, and, to take a particularly controversial twentieth–‐century example, it was also one of the aims of the so–‐called ‘German Christians’ in the Weimar Republic and Nazi Germany. As with this latter example, indigenization has sometimes gone so far that hostile observers have asked whether the results are any longer Christian. But one can also speak of an unconscious indigenization. In many overtly Christian- ‐dominated societies, there have been critics, both inside and outside, who have accused the church of being too much at home in its environment. This session aims to look at all of these various forms of ‘indigenisation’. We invite proposals relating to any period of Christian history and any region of the world. Comparative studies will be especially welcome. Christianity in favour of science. Since the earliest period, Christians have embraced a relationship with science. Most of the Church Fathers were interested in aspects of medicine, cosmography, zoology, history and botany. Science not only played an important place in the ratio studiorum, both in the Carolingian schools and the Jesuit universities but also today in the Catholic or Protestant universities. As long as science does not appear to be a danger for the faith, everything moves along smoothly. On the other hand, if science is seen to threaten the dogmas of Christianity, a Christian ‘science’ which we may term ‘concordism’ comes into being, in which science must prove the reality of the faith. This theme will include the study of these various aspects, from the reception of ancient Arabic and Asian science to the institutionalisation of science as a part of Christian knowledge, and the desire to exploit the role of science in assisting the faith. Christianity against science. When scientific data appears to contradict the faith, the churches have often condemned scientists or science. Examples include the acceptance of Aristotelian concepts by many Christians, the trial of Galileo and the difficulties experienced in admitting to a scientific exegesis. In this section, the discussion will focus on why and how the churches were opposed to scientists, even if these scientists were Christians, and whether or not differences existed between churches on this topic. The use of science by Christianity. In Asia, Jesuits used science in order to convert people to Christianity. Therefore science became a means to missionary work. In Europe too, science is used by apologetics to show the superiority of Christianity to other religions or to atheism. Many other examples could surely be found. It will be rewarding to study this distinctive use of science. The migration of religious ideas touches upon a fundamental historical process. How and why, when and where do understandings of the sacred circulate? The principal analytical approaches focus on vectors, reception, interaction and transformation. Migrations of religious views are the most readily apparent aspect, via the endless peregrinations of people, determined missionary activity, forceful coercion, trading and commercial contacts, and the broad range of textual media. Issues of reception are vital. External beliefs and related practices can be readily incorporated into new environments, but also steadfastly rejected. What makes some “foreign” notions attractive and acceptable, but others dangerous and threatening? At the interface of indigenous and alien, what are the processes of selection and accommodation? How do religious ideas blend –‐ or fail to do so? Do some dominate to the exclusion of others? Finally, how does the migration of religious ideas also transform them? Is it merely a question of movement between cultures? How far is the transformative process an inevitable blending of different religious understandings? How does even resistance to change act, in reality, to modify religious notions? These brief comments only begin to address the many and complex issues, yet suggest the possibilities for analysis and discussion. Please send abstracts of papers of 300 words maximum to the organisers of the sessions: 1. Prof. Hugh McLeod (d.h.mcleod@bham.ac.uk); 2. Prof. Yves Krumenacker (yves.krumenacker@wanadoo.fr); 3. Prof. Raymond Mentzer (raymond-mentzer@uiowa.edu) and Prof. Robert Swanson (R.N.SWANSON@bham.ac.uk).